I have never met a leader who didn’t need grace extended to them at one point or another. Every leader has failed at some point in their journey. Some harder than others. I’ve, sadly, seen leaders who have committed some pretty heinous acts. They’ve verbally abused customers, cheated on their spouse, or misappropriated company funds. These leaders needed grace to overcome their past sins. I’m not sure if you have ever committed any of these leadership faux pauxs. However, I know you’ve had missteps in your leadership. We all have. We’ve all made bad decisions. Because of this, we have needed someone to extend grace to us. But what about those you lead? Have you been willing to extend grace to those on your team? That’s right. We all mess up. I’ve messed up. You’ve messed up. We’ve all messed up. I can vividly recall the time I was supposed to be driving the church van to drop off youth students. Another youth leader told me she had been given the okay to drive the van. I believed her and let her drive. This was a mistake. She had not been given permission to drive the bus. She also didn’t have the skills to drive the bus in inclement weather. But I was tired. It’d been a long day and I didn’t question it. I did ride along with her though. We’d dropped the students off and were headed back to the church. Heading over a snow and ice covered bridge, we hit a patch of black ice. The van spun out of control and almost hit the concrete wall over the overpass. We were spared dropping 15 to 20 feet to the road below. We were also okay. When we returned to the church, I let the youth pastor know what happened. He wasn’t happy. However, he was willing to offer grace to me. I was able to continue leading in the youth group and drive the bus. Things could have wound up much different. Rick didn’t have to extend grace to me or the other leader. He did though and I thank him because it taught me a valuable lesson. The grace Rick extended to me told me I was valuable to him and the church. 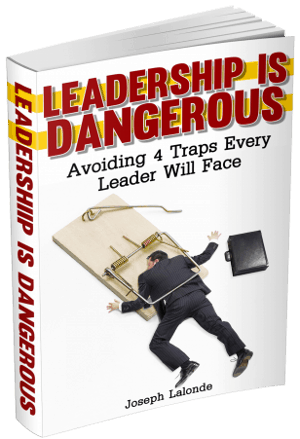 My screw up wasn’t the end of my leadership journey. He saw the potential in me and he would help me become a better leader. This is what great leaders do. They extend grace to those on their team. The best leader is one who continually extends grace rather than requiring it from others. The flow of grace is critical to the leader’s ability to grow in influence. This is a hard pill to swallow. We leaders are meant to give grace to those we lead. I believe I know why. After Rick extended his grace to me, I was able to learn and grow from my mistake. I saw what I should have done. Questioned the other leader more. The responsibility was mine to drive the van. Gone to Rick and asked him if he had given the okay to switch driving duties. Told her no. It was my responsibility to make sure the students returned home safely. I was able to grow from this experience. This is one of the reasons I believe leaders need to extend grace. People learn from their failures and missteps. I know I did. If we extend grace to those we lead, we allow them the ability to grow. Taking away grace limits the possibility for growth. Exending grace can be hard. You have to make sure your team and those they interact with are safe. You also have to ensure the organization is safe. This, I believe, is why leaders so often fail to extend grace. They’re scared something bad is going to happen and the blowback will be on them. The truth is, the leader is the responsible party in the end. However, leaders have to own this and extend people grace. Especially if they see potential in the person you’re extending grace to. Consider extending grace to those you lead. You’ve heard my story in having grace extended to me. I could have been dismissed from my leadership position or had a responsibility taken away from me. Yet Rick offered grace to me. This helped me to grow and understand how my choices and actions impact others. You can be like Rick. You can be a leader who extends grace. The next time you find yourself in a situation where you have to correct someone else, consider whether or not you need to extend grace to them. Look at their past history and whether or not there’s potential for them to be grateful for the grace you offer. 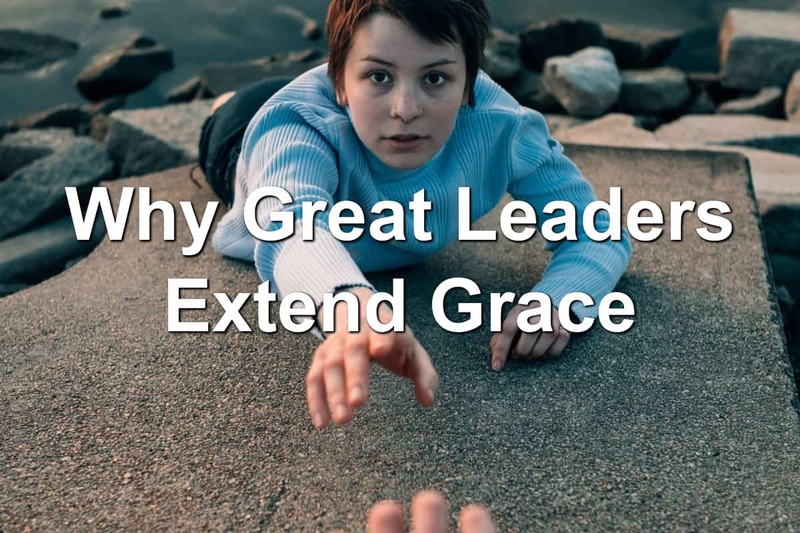 Extending grace is a trait every leader needs to have. It’s also a trait that will help you develop other leaders. Be the grace-giving leader.